Is the end of the world really near this time? A conspiracy theorist has made yet another end-of-the-world prediction, claiming that a rogue planet named Nibiru will be colliding with Earth this September. Houston is still reeling from its shocking experience with Hurricane Harvey, now further unleashing its destructive force on Louisiana near the Texas border. Guam, after a half month’s respite, is under threat again from North Korea due to a recent missile test which was said to be a preparatory attack. Amidst all of these problems, a conspiracy theorist issues a warning that the end of the world is near (once again). This time, though, the claim is, it would be true. That Planet X, or Nibiru, will be colliding with Earth this September and end human race. David Meade is a Christian numerologist who has published a book entitled, ‘Planet X – The 2017 Arrival’, claiming that his prediction is based on the Bible and ancient Egyptian writings. ‘It is very strange indeed that both the Great Sign of Revelation 12 and the Great Pyramid of Giza both point us to one precise moment in time – September 20 to 23, 2017,” says Meade on a You Tube video. It faces true north, marked only by 3/60th of a degree of error and its location is found at the center of Earth’s land mass. The east/west parallel which makes a crossing of the most land and the north/south meridian which makes a crossing of the most land forms an intersection in two places on our planet – the ocean and the Great Pyramid. After September 20, two tunnels at the Great Pyramid will be pointing to significant celestial objects: Descending Passage will be pointing to the star Regulus (the King) in the Leo constellation Leo, and the Ascending Passage to planet Jupiter which the Jews believed to be the ‘Planet of the Messiah’. Based on his so-called 33 Convergence Meade forewarned that this Biblical prophecy would have started to get fulfilled with the August 21 solar eclipse. Due to the eclipse, the sunrise would be dark as prophet Isaiah had predicted. “The Moon involved is called a black moon. These occur about every 33 months. In the Bible, the divine name of Elohim appears 33 times in Genesis. “The eclipse will start in Lincoln Beach, Oregon – the 33rd state – and end on the 33rd degree of Charleston, South Carolina. Based on all these numeric data, Meade concluded that after 33 days since the solar eclipse, there would be an alignment of the stars. This event would result to Nibiru’s colliding with Earth, marking the end of the world as foretold in the Bible’s Book of Revelation. 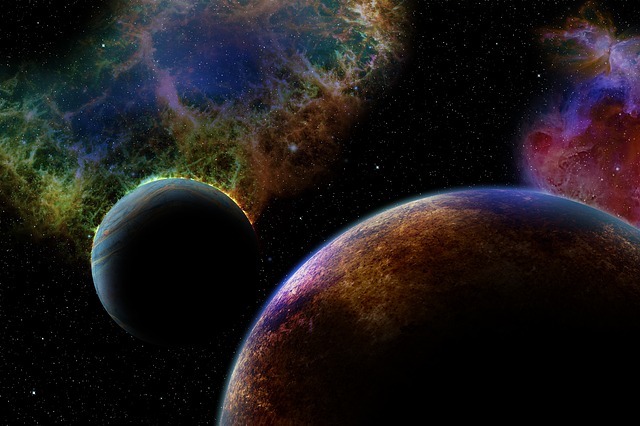 But, is there really a Nibiru or Planet X? Mike Brown and another Caltech astronomer Konstantin Batygin found evidence of Planet 9 in January 2016. It’s a giant planet with a mass that’s approximately 10x that of Earth. It also has an unusual, elongated orbit around the Sun which probably takes between 10,000 and 20,000 Earth years to be completed. However, the Planet 9 prediction has been made based on mathematical modeling and computer simulations, and not by direct observation. Is Meade’s Interpretation of the Bible Prophecies Correct? The Bible is a very complex book to study. For those who believe in it, it takes the help of the holy spirit to understand its contents especially the prophecies. One needs to know when Biblical passages are to be interpreted literally or figuratively such as the Lamb, the Dragon, the Great Prostitute who sits on many waters, and the scarlet-colored Wild Beast that was full of blasphemous names and that had seven heads and ten horns. Jesus was very clear about the signs of the last day and what would happen in Armageddon as stated in the evangelical books of Matthew, Mark, Luke, and John and in the Book of Revelation. Moreover, if Meade really knew and understood the Bible, he would not have made claims about the world’s coming to an end by September 20 – 23. After all, it is very clearly stated in the Holy Scriptures, “”But about that DAY or hour no one knows, not even the angels in heaven, nor the Son, but only the Father” — Matthew 24:36.